Well, it is immensely satisfying when you can read a book and think, "This book is going on my list of Best Books Read in 2012. Hands down." Harold Fry lives a quiet and uneventful retirement in England, each day ordered and routine. In his 60s and after forty years of marriage with Maureen, the last half resulted in Harold sleeping in a separate bedroom. The only wrinkle each day is whether Harold's done anything to annoy Maureen. Other than that, in the lifetime of their marriage, it's the same as the day before. When Harold receives a startling letter from a person he hasn't spoken to in twenty years, it hits him hard. Queenie Hennessy, a dear friend, is dying from cancer, with not much time and no chances left. The news is devastating and he struggles with finding the right way to respond back to her. He finally puts down a few words and closes up the envelope. With his tie squarely knotted, and his yachting shoes snugly fit, Harold walks the short distance from his house to the mailbox, but finds that he might need to go a little bit further. With each mailbox he comes across it seems to him more appropriate to mail it at the next one. Before he knows it, he's traveled further and come to a decision: He will walk all the way to Queenie in hospice six hundred miles away and will give her the letter in person and to thank her for her friendship. Harold painfully regrets the years of not speaking with Queenie, and so with this pilgrimage, he is confident she will live. Along the way, he comes across people with their own story of regrets and he realizes that it's really never too late to live a life of purpose. With Maureen waiting at home for his occasional phone call providing status updates, the separation between them grows and each feel the gaping hole of absence. I fell in love with this book, with Harold, with his pilgrimage, absolutely everything. I had a lump in my throat by page 10 and I consistently blinked back tears with every person Harold meets. Each character, Maureen especially, is not what they initially seem, and before I knew it, I found that all had a deeper tale to tell of understanding, love, loss, pain, and regret. This was an absolutely beautiful story. Sweet, confused, regretful and saddened Harold Fry had the urge, a revelation to finally do something in life, to feel whole and complete and to feel that he has accomplished something of importance, and I was there cheering the whole time. Harold's journey reveals wounds that have been covered for years, and he's deeply disappointed with his own life and all the people he knows he has let down. Even Maureen, who initially comes across as cold and heartless, goes through her own reawakening that breaks my heart even more and at one point, I was dumbstruck by how much pain has been in both of their lives. It is a powerful story told quietly with subtle moments so compelling that I know I will always remember it. A book about regrets and the hope of redemption no matter when it's realized in life is something that will always tug at my heartstrings and this one even more so. To me, the quieter book draws the pain of regret much more vividly than any other. I eagerly await Rachel Joyce's next novel. You really, really, REALLY need to read this book. 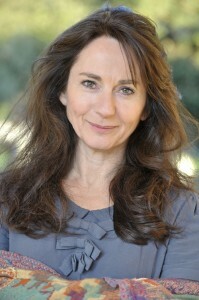 Rachel Joyce is an award-winning writer of more than twenty plays for BBC Radio 4. She started writing after a twenty-year acting career performing lead roles for the Royal Shakespeare Company, and also winning multiple awards. Rachel Joyce lives in Gloucestershire on a farm with her family and is at work on her second novel. Thanks to TLC Book Tours for inviting me to participate. For all other tour stops for this incredible debut novel, please click here. Everyone's raving about this book. I can't wait to read it! sounds really good. I am gonna see if my book club is interested. Based on the cover alone, I would have totally skipped this. Glad to know it's good! Man. I love book about British old people (no, I don't know why) and your review just clinched it. Have to read this one! MUST read this book - everyone seems to love it! Can't wait to read my copy:) glad u liked it. I am getting a copy of this from a very good friend, and I can't wait to read it. Everyone that has read it says that it is one of the best books of the year for them, so I can't ignore that! I will have to let you know what I think when I am done. It does indeed sound like a very sweet and nostalgic story. Great review today! Nice!! I totally passed on this and wasn't interested, but your enthusing as me regretting that I skipped this tour! Will have to add to my TBR -- yours is not the first happy review so clearly this one is a keeper. I had no intention of reading this one until your review!!!! Ack! I'll be reading this one soon and am so excited. The Booker longlist news is very exciting too. I was just thinking, it's been over a year since the last book really gave me that reaction (State of Wonder). I'm due, right? I'm on the waiting list at the library and really excited for this one. I'm glad you loved it! Oh, I loved this book, too. So thoughtful and lovely and atmospheric. I was cheering for Harold from the start, and totally agree: it's so satisfying to finish a book and think, "Yep, this is a new favorite." It deserves all the praise it gets! Ti told me this was the book she wanted Wild to be. :-D And since I hated Wild, too, I'm looking forward to this one. It's going on vacation with me. I keep hearing such amazing things about this book - I can't wait to read it myself! Thanks for being on the tour Natalie. This is such a beautiful review! I have had this book on my nightstand for weeks and the more I hear about it, the more I can't wait to pick it up! The passages you chose are simply lovely and hearing that you had a lump in your throat reading this just shows us who haven't read the book yet, how wonderful it is going to be! I felt the same way about this book. I was surprised how much I enjoyed a book about a not very exciting middle aged man walking.